Before you close out this article thinking that all-flash storage is cost prohibitive, think again! Modern all-flash storage systems are more than fast; they are smart as well, driven by intelligence-based tools that make data storage more efficient and less costly. A great example is the product line of storage solutions available from Pure Storage. These solutions can help your own company achieve the agility and efficiencies that five years ago were only available to the largest of enterprises. Is a flash storage drive more expensive than a standard disk drive of identical capacity? Of course it is! Solid-state technology is more expensive because it drives superior performance. However, just because the individual drives are more expensive, does not mean that the storage system is costlier. This is where intelligence driven storage comes into play. Data Compression – The combination of both Inline Compression algorithm based Deep Reduction helps deliver a 2-4x data reduction target. This powerful compression combination is the primary form of data reduction for databases. 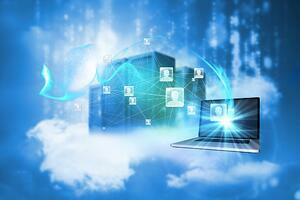 Think about your private cloud that incorporates 50, 100, or 200 virtual servers or more. Chances are that most of them utilize identical operating systems such as Windows 2016 Server. Think about the fact that you have a complete file installation for each and every server. These standard OS files are taking up capacity that could be better utilized with workable, meaningful data that creates value for your business. This is a classic example of how deduplication can save capacity and money. Now consider the fact that these deduplication and pattern removal technologies help to maximize the lifespan of your storage solution. Referred to as “write avoidance techniques,” these software features help to reduce the number of times that data must be written to the array. Less usage helps preserve the durability and performance of your system. Now think about what happens when you power up a traditional disk-based SAN. Many sound like a small jet taking off for flight. This is due to the powerful fans that are required to cool down these machine-driven systems. The disks themselves make noise too, as the many disks’ platters within that rotate at high velocity speeds. Now consider the mechanical processes involved in the read/write transactions of your data. There are a lot of moving parts, all creating a lot of heat and consuming a lot of power. There is no movement within all-flash drives. Motionless drives equate to reduced electrical and cooling costs. What’s more, an all-flash storage system has a smaller footprint, which means less rack space and less square footage. Is all-flash storage sounding more affordable now? It may be surprising to find out how cost effective an all-flash storage solution today can be. There are a lot more costs associated with a data storage solution than just the cost of the disks themselves. Software intelligence is helping reduce the cost structure of so many aspects of today’s modern enterprises. Data reduction, lower cooling and electrical costs, and a longer lifecycle are just some of the ways that an all-flash storage system from Pure Storage can deliver. And then there is the one truly great facet of all-flash storage–it is lightning fast. Fast, yet affordable, that is the narrative of Pure Storage data solutions. Next Steps: Continue reading about enterprise storage in our white paper, "Enterprise Storage Checkup," which provides tips for solving some common storage performance and capacity challenges. Jay Cardin is a Pre-Sales Solutions Architect here at WEI. His specialties include server virtualization, storage systems and backup and recovery systems. He collaborates with WEI sales executives and network engineers to develop the ideal custom solution for each client. WEI’s commitment to education continues with Jay as he conducts Veeam Backup and Recovery training workshops each quarter for WEI customers. Jay holds several certifications for Veeam, Microsoft, EMC, and VMware.